in a white core 5" x 7" mat, framed and ready to hang. ~ Sold ~ Happy Birthday, BOB! 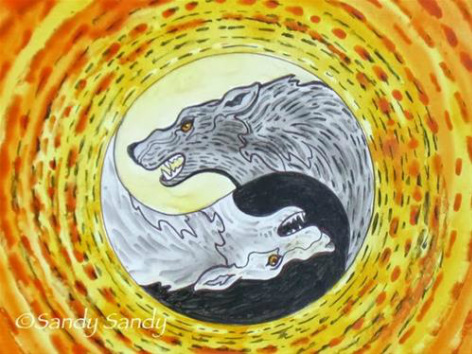 This watercolor painting is inspired by a Native American Legend where there are two wolves that live inside each of us. One represents good and the other evil. Each day they do battle with each other as we travel through life. The one who wins out in the end, is the one you feed.